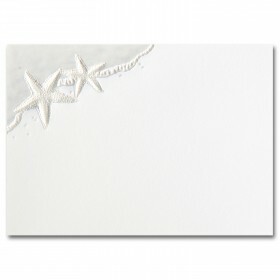 This beautiful pearl foil embossed invitation ensemble from Fine Impressions communicates a sense of sophistication. 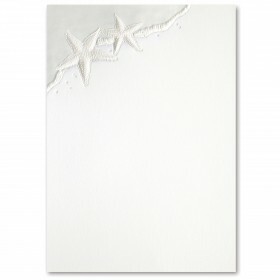 The Jumbo flat invitations crafted from premium vellum paper are a perfect choice for any beach wedding. 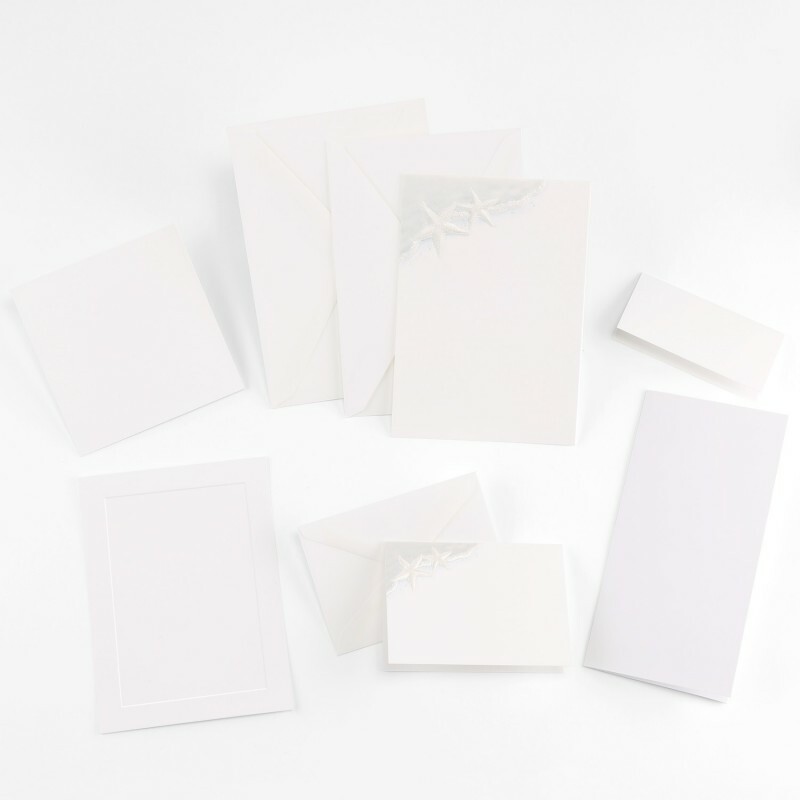 Completing the invitation ensemble are matching response cards and envelopes, plus enclosure cards to provide information to your guests regarding accommodations or maps. 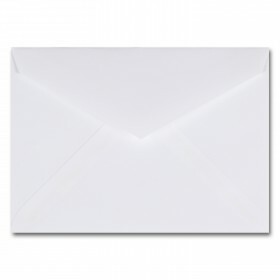 All components fit beautifully within the non gummed inner envelopes, then inserted into the outer envelopes, ready for addressing and mailing. 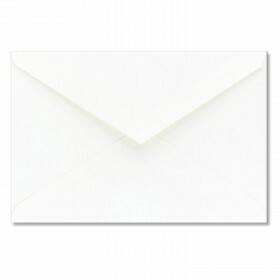 Also included for the wedding ceremony and reception are pre-scored, tri-fold programs, tent style place cards and embossed panel menu cards. All items ship flat, ready for imprinting.